Specialists in T.I.G and M.I.G Welding, Megarweld’s Welding Engineers have considerable experience in welding difficult parts and assemblies and also considerable experience in welding within difficult environments. It is through their experience in specialist T.I.G (Tungsten Inert Gas Welding) and M.I.G (Metal Inert Gas Welding) that Megarweld have developed a reputation in the West Midlands industrial heartland of intricate and difficult welding applications. Through a considerable knowledge of the metals and alloys to be welded and a close working relationship with industry, Megarweld are confident that they can analyse welding failures, evaluate machine tool wear and tear and provide affordable engineering solutions to redesign or re-engineer welding and engineering applications. 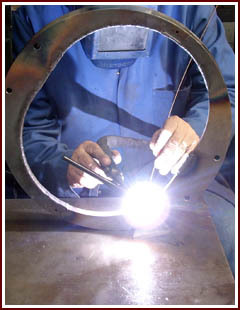 Whatever your requirements for M.I.G and T.I.G Welding, call upon the skill and expertise of Megarweld Services,Wolverhampton – Specialists in M.I.G and T.I.G Welding. Marketing and Website Design D5. Website Design and eCommerce Solutions.